Our garden designs are award winning, and our creative landscaping solutions can transform the exterior space of your property. Giving you and your family a beautiful, functional garden to relax and enjoy at any time of year. Whether it’s a domestic or commercial project, our skilled group of in-house landscape contractors are here to help. And we can manage the entire build / construction from start to finish, so you won’t need to go anywhere else for your landscaping needs. In addition to our extensive knowledge in plants, trees and flowers, we are also experts in garden construction, with all of our selected materials being environmentally friendly whenever possible. 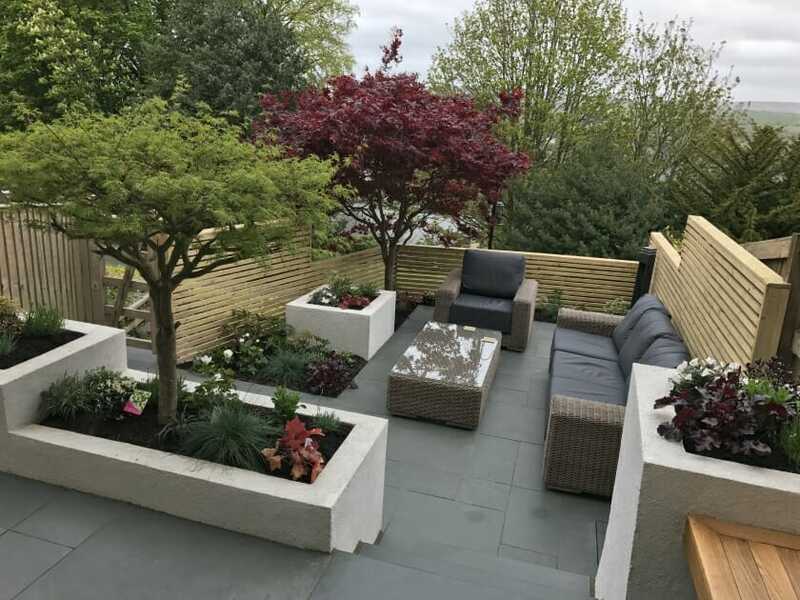 So whether you need us to construct a brand new garden design from scratch or you need us to take on a smaller project, we have the skills in-house to help you achieve a range of looks and finishes. From initial concept to completion, our landscape contractors will ensure that the process is as smooth and seamless as possible. Get in touch with Lindsay or Paul to find out more or to book a free initial consultation at your property or commercial site.